The Vancouver Condo Buzz » EXCITING NEWS > Richmond River Park Place Condo Tower Launch by MYIE & Intracorp | Riverfront Richmond River Park Place Oval Village District 1 Bed from < $300k; 2 Bed from mid $300k PLUS 3 Bed Floor Plans! EXCITING NEWS > Richmond River Park Place Condo Tower Launch by MYIE & Intracorp | Riverfront Richmond River Park Place Oval Village District 1 Bed from < $300k; 2 Bed from mid $300k PLUS 3 Bed Floor Plans! Starting in early Spring 2013, home buyers will be able to preview and learn more about this master planned Richmond River Park Place condo project by Intracorp Developers. Located at the Oval Village Richmond real estate district, Intracorp’s River Park Place Richmond condos is a riverfront community that is designed to be family and pedestrian friendly as well as stylish and well connected to everything. The urban and contemporary condominium residences at the riverfront Richmond River Park Place condos by Intracorp will be situated very close to the entrance of the new and exciting Oval Village neighbourhood shopping district and the Phase 1 condo tower at River Park Place Richmond real estate development will be 15 storeys in height. 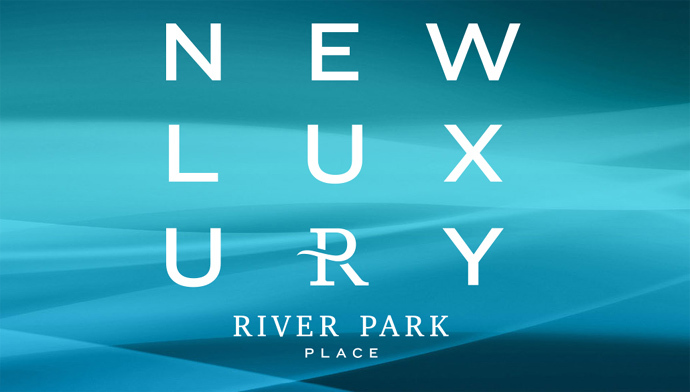 The upscale, refined and affordable high-rise condos at River Park Place Richmond features a great locale that is very close and within walking distance to new boutique shops, big box retailers, restaurants, galleries, recreational options and of course, the riverfront. 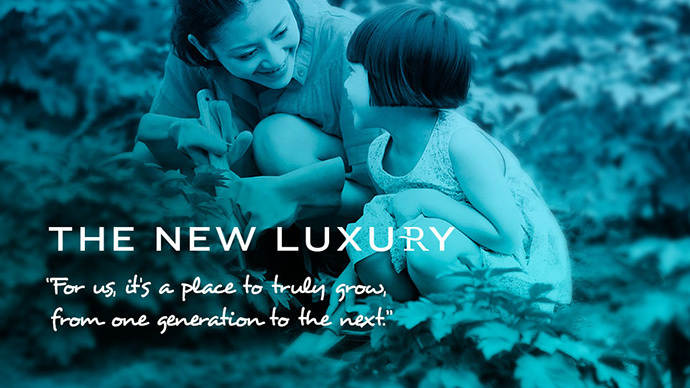 The new luxury comes with great value, amenities and conveniences. 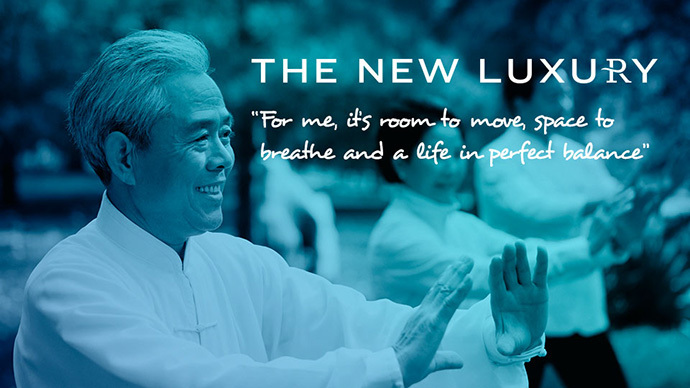 From the private banquet room to the fitness centre and tai chi pavilion at the pre-construction Richmond River Park Place condo development to the media room and indoor basketball court there is something for everyone to do both inside and out. There is also an impressive music room, a secured children’s play area as well as garden plots. Outside, the new River Park Place Richmond condos will be within walking distance to the numerous riverside trails as well as the Canada Line SkyTrain and to Steveston Village. The Oval Village fitness centre is nearby as is T&T Supermarket and the River Rock Casino. Phase 1 River Park Place Richmond high-rise condos will be launching Spring 2013 and will be situated on the northeast corner of Gilbert and the new River Road extension. One bedroom condos start from $299,900 and two bedrooms are priced affordably from $385,900. Also, there are 85 homes at River Park Place Richmond Phase 1 condos that are priced under $350,000. DRIVE AWAY IN THE NEW LUXURY – WIN A RANGE ROVER EVOQUE at RIVER PARK PLACE RICHMOND! Just in case you have not seen the presale marketing, the River Park Place Richmond condos has launched The New Luxury Contest last week. Daily prize giveaways including our grand prize, a 2013 Range Rover Evoque, begin in March. By registering, you could be eligible to win any one of these prizes. It’s that simple. The River Park Place Richmond Condo Sales Centre is located at 7100 Elmbridge Way Richmond. If you register early, you will be invited to be one of the first to view two fully furnished display homes at the new Richmond River Park Place condos showcasing the spacious and well-appointed homes this Intracorp project has to offer. 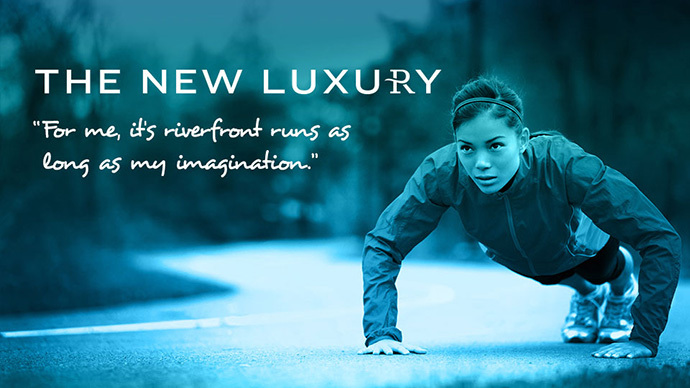 New Richmond Luxury Condos at River Park Place by Intracorp – Launching! The sophisticated and contemporary architecture at the new River Park Place Richmond luxury condos is by IBI Group and the building will have concrete construction with glass and steel accents for a truly modern façade. Intracorp has incorporated a Whole Home Concept with extensive in home combined with central building amenities that offer a truly complete family home and community. There will be a vibrant streetscape outside with ground level retail, services and dining options for residents in addition to expansive outdoor balconies and patios. The entrance lobby at the new Richmond luxury condos at River Park Place by Intracorp will feature impressive stone, wood accents and even a water feature. The common areas will all have wireless hot spots and many of the homes will have uninterrupted views of the Fraser River and/or North Shore Mountains. The IBI Group designed River Park Place Richmond luxury condos are built to LEED Silver equivalent features and will have Jaga Briza passive heating and cooling in all living areas and bedrooms. As well, there is motion activated suite thermostats and passive solar design. Individual suite metering, high water efficiency plumbing fixtures and high energy efficiency lighting also combine to create a healthy and eco-friendly community. The River Park Place Richmond condos will also present Energy Star rated appliances and the use of low E materials and paints. The lobby will also have a concierge and the access to the building is secured by key fob and video entry system at the entrance. All homes are also backed by Travelers Canada Home Warranty. In addition to this magnificent appliance package, the River Park Place Oval Village condos for sale will have solid engineered quartz counters, built in recycling/garbage system, contemporary track and pot lighting, under cabinet task lights, Grohe chrome single lever faucet and square 19” single bowl stainless steel sink that is under mounted. Also presented at the Oval Village Richmond River Park Place condos for sale are soft close mechanisms and all cabinets and drawers in addition to Canadian built contemporary styled cabinetry and full height marble mosaic backsplash. The bathrooms at the new Richmond River Park Place Oval Village condos for sale will have spa style soaker tub with integral skirt, Duravit Starck 3 single bowl undermount sink, dual flush toilet, solid marble counters, Grohe shower chrome system with hand held and Grohe single lever faucet. The floors will have porcelain tiling. Other bathroom features at the River Park Place Richmond Oval Village condos include Euro style frameless glass shower enclosures, floating vanity cabinetry with motion activated under cabinetry lights, low profile recessed pot lighting, contemporary wood veneer Canadian built cabinets with soft closers. As an Intracorp Insider, we would like to inform you that we have some of the River Park Place Richmond condo floorplans available to view. There’s a new Richmond River Park Place floor plan to fit pretty much every lifestyle. Whether it’s an efficient one-bedroom home, a thoughtfully designed two bedroom home or a generous two bedroom and den home, these residences embody the Whole Home concept at River Park Place Richmond real estate condo project – every element in a home you could want, inside and out. The Whole Home River Park Place concept brings all the comforts of a lavish suburban Richmond home to this fresh urban context. Inside, these elements include an expansive family-style kitchen with top of the line appliances, large and airy balconies, smartly laid-out living space, and countless intelligent details throughout the home. Two colour schemes at the pre-construction Richmond River Park Place condos offer a choice between a stately, traditional feel and a bright interior that drinks in the light of the riverside. State-of-the-art Jaga Briza environmental systems ensure the comfort of the space – and the best in sustainable energy. This is an interior space at the new Richmond River Park Place condos that enfolds you beautifully. Just like your life here. 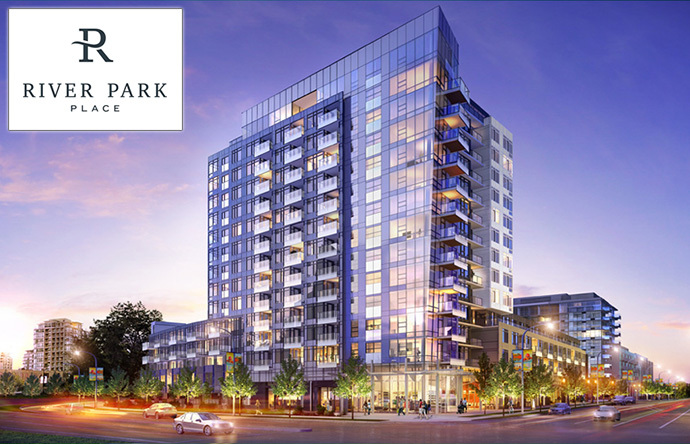 The River Park Place Richmond Real Estate Project Location > Unmatched and Convenient! Located between Hollybridge Way and Gilbert Road along the future River Road extension, River Park Place Richmond condos for sale offer all the comforts of a complete suburban home offered in a fresh urban context and with all the amenities to match; Tai Chi pavilion, lush gardens, music rooms, basketball court, family banquet room and much more all at the heart of an inspiring new riverfront neighbourhood. At River Park Place Richmond condo’s completion, it will truly embody a new standard of The New Luxury in the Richmond BC real estate market place. River Park Place Richmond condos will offer 1, 2 & 3 bedrooms starting from $299,900* coming in Spring 2013. The River Park Place Richmond condo Sales Centre will be located at 7100 Elmbridge Way Richmond BC. When complete, you will be invited to be one of the first to view two fully furnished display homes showcasing the spacious and well-appointed homes River Park Place Richmond will have to offer. Brought to you by Intracorp and MYIE Homes, the new Richmond Oval Village condo project at River Park Place is all about being accessible to everything in the Lower Mainland. Whether it be Richmond City Centre to downtown Vancouver, the YVR Airport or Richmond Centre shopping/dining or to outdoor urban parks to the Olympic Oval, the new Oval Village Richmond River Park Place condos for sale is situated in one of the most highly sought after new neighbourhoods in the area. The luxury waterfront Richmond River Park Place condos will be built within the heart of the Oval Village Richmond real estate district, a pedestrian/family friendly neighbourhood with lush parks, river, waterfront trails, the Canada Line SkyTrain, restaurants, world class shopping and downtown Vancouver within 15 minutes! Not only that, but master planned in the first 3 phases of the River Park Place Richmond Oval Village condo development are lots of on site amenities too that include outdoor entertainment lounge area with barbecues, fire pits and comfortable seating areas in addition to lobby lounge with concierge and meeting rooms to do business at home. Also presented at the new Oval Village Richmond River Park Place condos will be multiple children’s play areas both inside and out, music room that is completely sound proof, a multi-use indoor sports court (for basketball, volleyball, badminton and other court sports) in addition to a fully equipped, professionally designed fitness facility, all on-site! Inside these Oval Village Richmond River Park Place condos will be high-end interior designed finishes and functional high-tech features including large windows, over height ceilings, private outdoor living space with views of the city skyline, North Shore mountains and Fraser River. As well, from stainless steel appliances to stone counters and from laminate hardwood to in suite laundry, the interior design of these new River Park Place Richmond Oval Village condos will be unsurpassed. All homes will also come with the standard home warranty for homebuyer protection up to 10 years! The luxury Richmond waterfront condos are extremely affordable, with one bedroom homes starting from under $300,000 and 2 bedrooms priced under $386,000. These waterview residences will feature functional layouts and spacious floor plans that are between 486 square feet to about 956 square feet (approximate and subject to change before the launch). In addition, the first phase of River Park Place Richmond condos will introduce a magnificently designed 15 storey high-rise to the Oval Village neighbourhood and will feature 1 to 2 bedroom units. The master planned development will also introduce 3 bedroom floor plans in latter phases to the project, most likely in Phase 2.